Hear what attendees, speakers and sponsors have to say about the 2014 M2Moms® – The Marketing to Moms Conference — our 10th Anniversary! Attendees at M2Moms® 2014 were really impressed with Stephanie McMahon’s presentation on how the WWE engages kids and families. Here’s an example of how they recently made one young fan’s day, after hearing about how he saved his mom’s life. Kathy Sheehan, Executive Vice President and General Manager, GfK’s Consumer Trends Team was voted best speaker by the audience of brand marketing executives in attendance at the 9th Annual M2Moms® – The Marketing to Moms Conference, Oct. 23 & 24, 2013, Chicago. 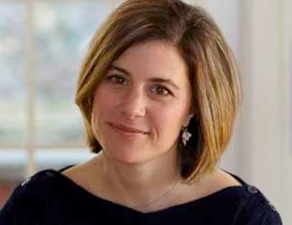 “The award, titled, ‘You Take The Cake’ is given annually to the speaker who has presented the best insight and information about how to improve sales and marketing results with today’s moms,” stated Nan McCann, M2Moms® producer. For M2Moms® information: www.m2moms.com or 860.724.2649 x11. 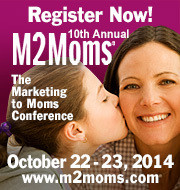 M2Moms,m is produced by PME® Enterprises LLC, 912 Silas Deane Hwy., Suite 101, Wethersfield, CT 06109.